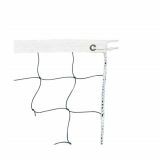 The Vinyl Volleyball Net features 2 mm polyethylene netting with 4" square mesh, as well as a 2" white headband and a nylon rope cable for stability and support. 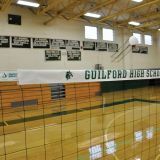 This net is slightly shorter in length than traditional volleyball nets. 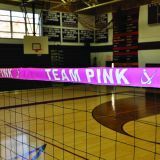 The Champion Sports Neon Vinyl Volleyball Net is perfect for recreational play. 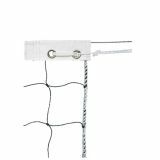 It features 2.2 mm polyethylene netting with 4" square mesh, as well as a 2" white headband and a nylon rope cable for stability and support. 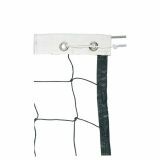 The Vinyl Volleyball Net is perfect for recreational play. 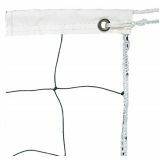 It features 2.2 mm polyethylene netting with a 4" square mesh pattern, as well as a 2.5" white headband, taped sides and bottom, and a 6mm poly rope cable for stability and support. 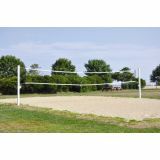 The Champion Sports Vinyl Volleyball Net is perfect for recreational play. 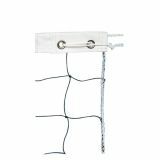 It features 2.2 mm polyethylene netting with 4" square mesh, as well as a 2" white headband and a nylon rope cable for stability and support. 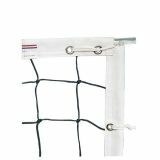 The Official Olympic Volleyball Net features 3mm knotless nylon netting and a 2.5" top and bottom white headband. 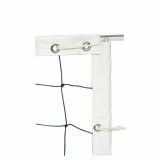 The side pockets with dowels and vinyl coated top and bottom steel cables provide added stability and support. The Champion Sports Braided Volleyball Net is ideal for all around play. 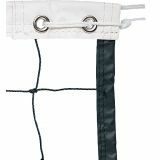 It features 2.6mm braided polyethylene netting and a 2.5" white headband. The vinyl coated steel cable on top, and nylon roped bottom provide stability and support. 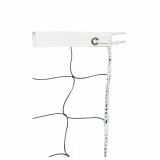 The Tournament Volleyball Net features 3mm braided polyethylene netting and a 2.5" top and bottom white headband. The side pockets with dowels and vinyl coated top and bottom steel cables provide added stability and support. A perfect way to show school spirit (where regulations allow). Customized vinyl tape with hook and loop attachment. Extended lead time applies. Submit your logo and verbage in an EPS file to Customer Service. Customized vinyl tape with hook and loop attachment. Extended lead time applies.